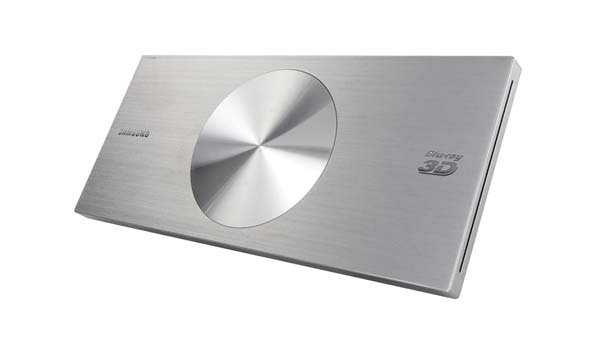 Samsung unveiled its 2011 Blu-ray line at the CES show in Las Vegas which included seven new products, four of them 3D compatible, and three supporting 3D upconversion using Samsung’s system-on-chip (SoC). They include the BD-D7500 (pictured above), the world’s slimmest Blu-ray player, coming in at 0.9 inch deep. It has a silver, brushed metal look, with a slot-loading disc drive on the side, is 3D-compatible and also has built-in 2D-to-3D conversion processing. It also includes Wi-Fi and can access Samsung Apps.